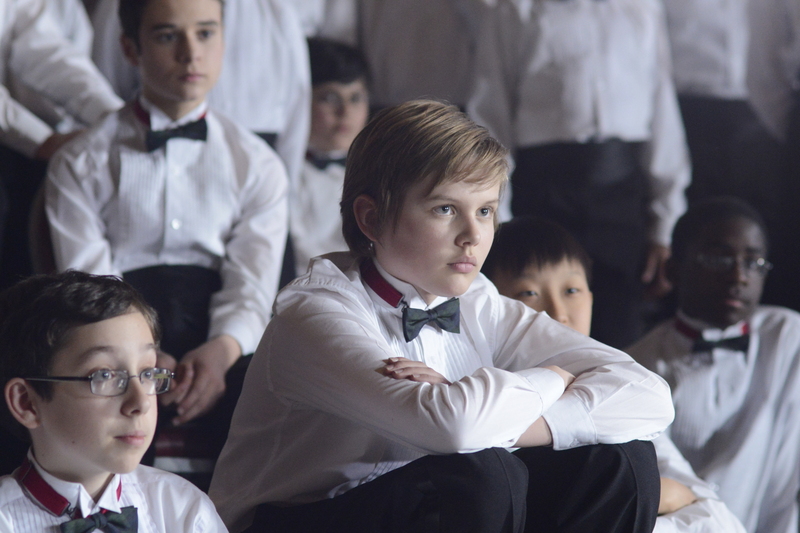 Boychoir is a good example of what nowadays is missing in most films. There are few like this one that can touch our soul and heart with its purity, innocence and integrity. When the film begins, for those who are not aware of the plot, they will not know what to expect next. When we first find Stet, we see him rather cockerel and bullying, until the moment he gets home. Stet, instead of being busy with his homework, looks after his single mother, who is not in good shape at all; she is an alcoholic. Stet quickly takes the bottle of vodka from his mother and prepares a meal. From this scene forward, the viewer gets the chance to like and admire Stet for his wisdom, patience and his ability to remain in control, when someone at his age would have lost control, long ago. 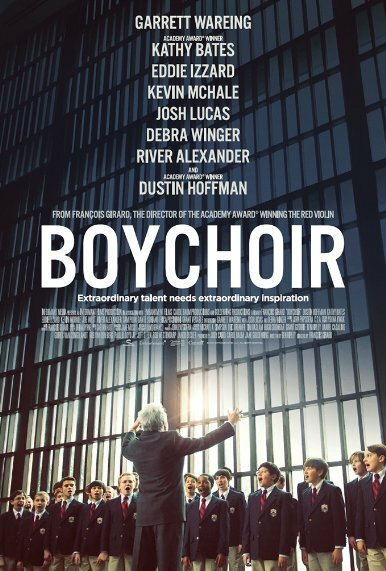 Boychoir is directed by Quebecian filmmaker François Girard, whose approach to the film does not give the spotlight to the stellar cast, such as, Dustin Hoffman and Kathy Bates, but instead gives opportunity to an extremely talented young actor, Garrett Wareing, allowing him his own benefisto. Despite that, Hoffman and Bates are supportive, as is the entire cast, making this film very touching, profound and full of deep meaning. At times the viewer will find themselves crying and a bit sentimental due to the moving story, which will touch the heart of even the indifferent viewer. The beautiful classic music and the solid performance of its cast, makes me regret missing the World Premiere of this film at the Toronto International Film Festival.